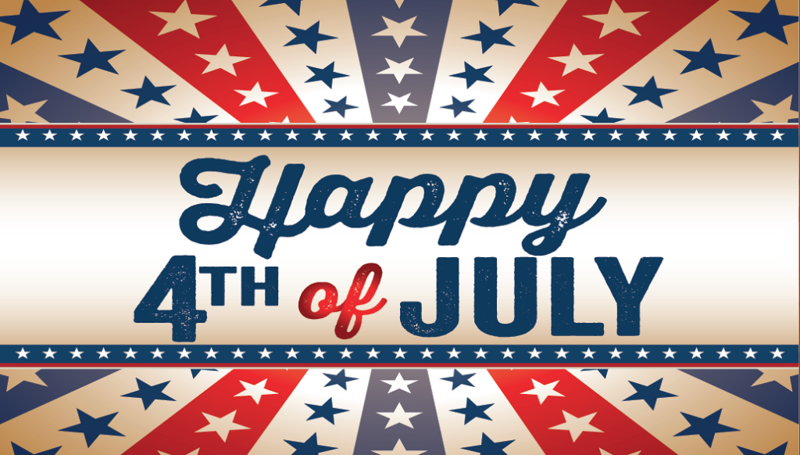 Of all major U.S. holidays, July 4th is up there with the biggest, standing shoulder to shoulder with the likes of Thanksgiving and Christmas. A celebration of USA’s independence from Britain in 1776, it’s a holiday right in the middle of summer, making it the perfect occasion for BBQ’s, parties and generally having a good time. And as with many big holidays, brands are eager to give their names a little push and increase brand visibility with targeted ad campaigns for the occasion. Tracking social buzz for the 4th July holiday from the end of June until July 5th shows a total of more than 5 million mentions for Independence Day. Of course, mentions peaked on the actual holiday itself, with close to 3 million results throughout the day. And the buzz reached its highest point with more than 72,000 mentions in a period of just 15 minutes at around 11:30 am Eastern Time. 4th of July buzz continuously increased during the day. When it comes to Independence Day celebrations, red white and blue are very much the theme of the day. But which of the staples of any Independence Day celebration enjoys the most attention on social media? While Sales dominated the conversation before, the actual holiday was much more about fireworks. In the lead up to July 4th the focus of the conversation wasn’t fireworks of food but something else entirely– holiday sales! With plenty of stores offering discounts and items specifically designed for the occasion, retailers and their offers accounted for almost half of the buzz in the pre-Independence Day period. But fear not, fireworks fans! 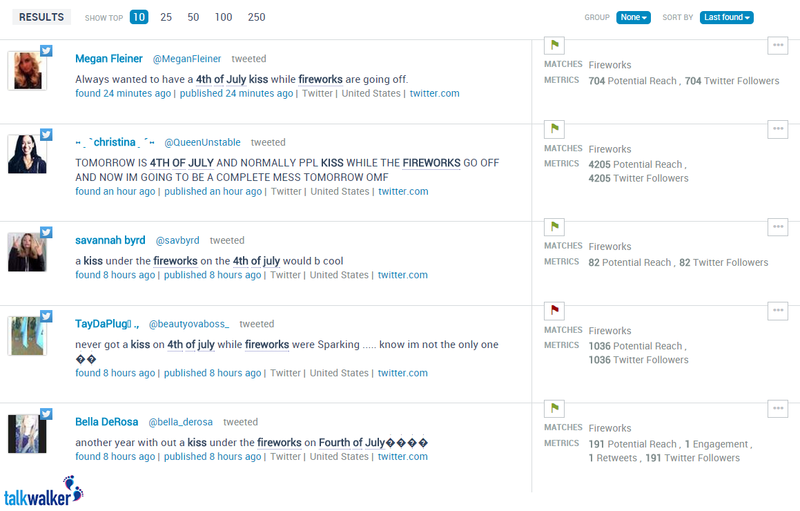 Our social analytics clearly show that fireworks, an essential for every 4th July celebration, saw a steady increase in buzz as the time for celebratory fireworks approached. With nightfall approaching in the US over the holiday, the topic became consistently more relevant, with a peak of almost 14,500 mentions per hour. And apparently quite a few people were looking for romance under those very fireworks. Romance was a big part of the fireworks conversation on July 4th. With the US team competing for the FIFA Women’s World Cup, discussions on social media of course also included the finale in Canada on July 5th. 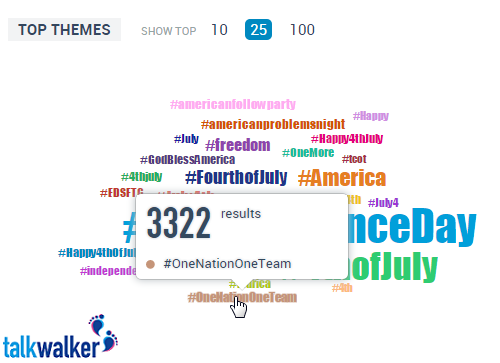 While #IndependenceDay and #4thofJuly dominated the conversation, #OneNationOneTam received more than 3,000 mentions throughout the day. Not to disappoint their fans, the team delivered a 5-2 victory over Japan. July 4th conversations on social also included mentions of the U.S. Soccer team. What’s more American than the President, Coca-Cola and The Simpsons? Nothing! From Barack Obama to TV’s most popular cartoon couple Homer & Marge, all of these American icons made sure to wish their fans and followers a happy 4th of July through their social media channels. 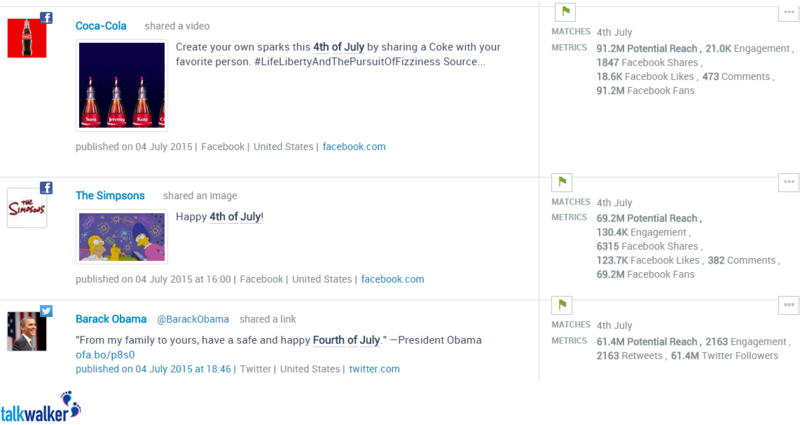 With a potential reach of more than 90 million for its Facebook post, Coca-Cola reached almost triple the number of people that saw President Obama’s 4th July tweet. If you want to learn how to leverage events and holidays for your brand, sign up for a free personal demo to see what Talkwalker can do for you.